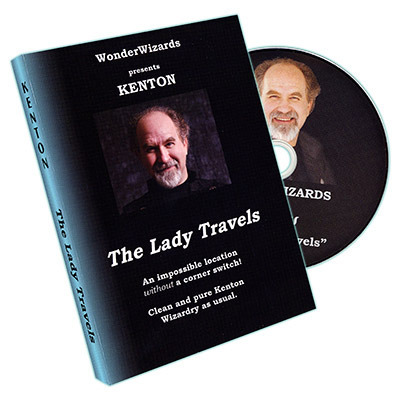 Today, when you order "Lady Travels by Kenton Knepper - DVD", you'll instantly be emailed a Penguin Magic gift certificate. You can spend it on anything you like at Penguin, just like cash. Just complete your order as normal, and within seconds you'll get an email with your gift certificate. Just like the original, but now on DVD for easier to understand and many EXTRA tips! A card is chosen and the corner is torn and given to a spectator to hold. 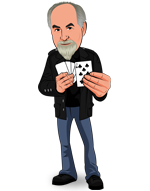 You make a magical gesture and EACH AND EVERY card in the deck is shown to be whole. IT IS THE TORN CARD! Not just that, but the corner matches EXACTLY. And the best part - NO CORNER SWITCHING AND NO PALMING. This truly is an impossible location with a torn card. Clean and easy to d - pure Kenton Wizardry as usual!